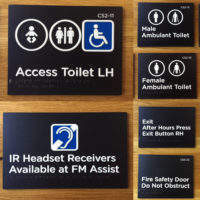 Brailliant Touch Australia® supplies high-quality, raised tactile and braille signage for the airport industry. 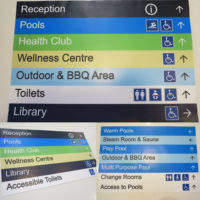 We produce clear navigational signs for the disabled and visually impaired. Our products are made using interior or exterior grade materials and finishes, and can therefore be placed indoors and outdoors. 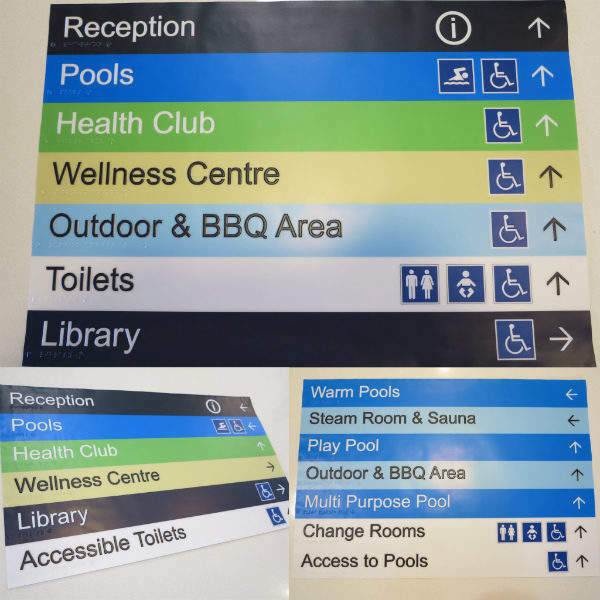 We have been leaders in accessible signage since the early 1990s, and continue to impress our customers with our products and services. Our variety of navigational accessibility signs include mounted signs, floor plans, and disabled-friendly evacuation maps and directories. 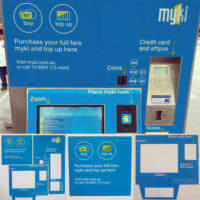 Brailliant Touch Australia also develops braille and tactile ticket machine membrances, street direction signage and maps. Brailliant Touch signs are innovative and durable, combining an ultra-resistant first surface polycarbonate or polyvinyl membrane with a unique, multi-layer system. 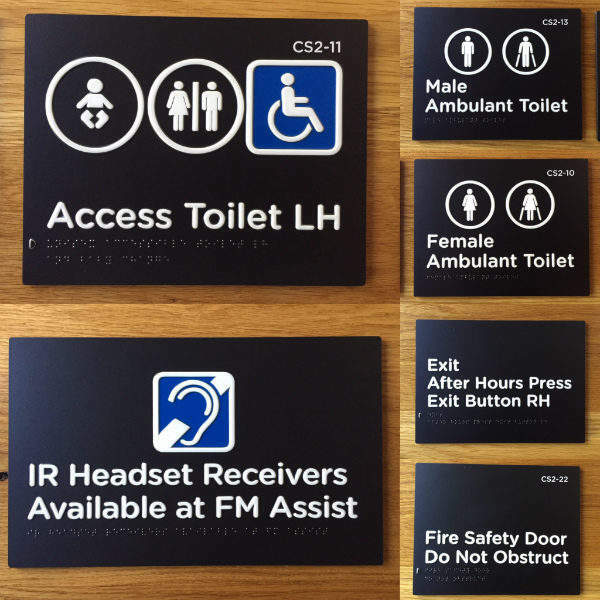 Brailliant Touch braille signage provides versatile, sealed units for all users and facilities, particularly high-traffic flow areas. They are also hygienic and easy to clean due to their continuous surface. 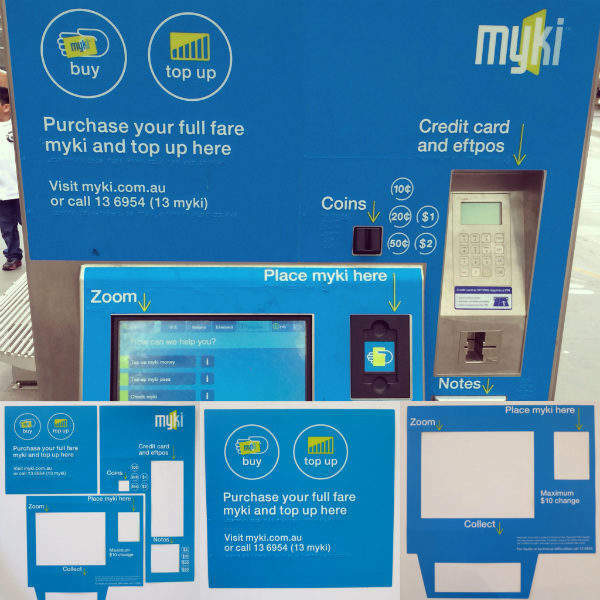 The Brailliant Touch sign face is made out of a layer of 0.38mm-thick polycarbonate or polyvinyl. Both tactile elements and the colours are permanently fused within the face’s layer. 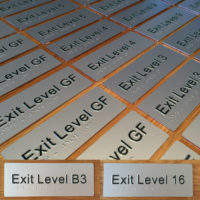 After the colour and the tactile elements of the sign’s face have been completed, it can then be welded onto any substrate to form a finished sign. This careful craftsmanship and attention to detail ensures that our signs will not crack, peel, fade, or be affected by acid, moisture, or high humidity. 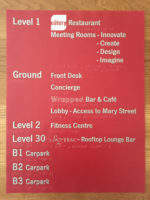 Each sign designed and manufactured by Brailliant Touch Australia complies with international standards. 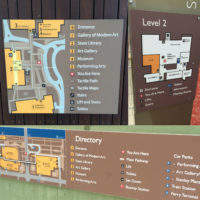 Using the Brailliant Touch System, clients can create signs to meet exact specifications. 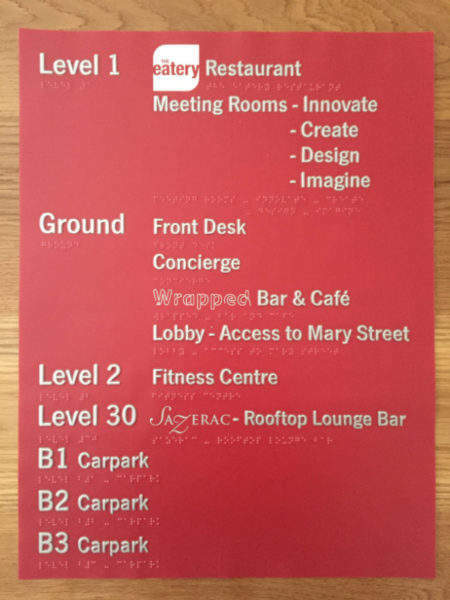 Our custom-made options range from basic accessibility signs to complicated braille and tactile wayfinding maps and directories. These custom signage designs require more time and craftsmanship, but are a big reason why we remain the market leader in our industry, as we are able to offer the most flexibility when working with designers. All colours and graphics are available due to our unique, sub-surface, multi-layer application. 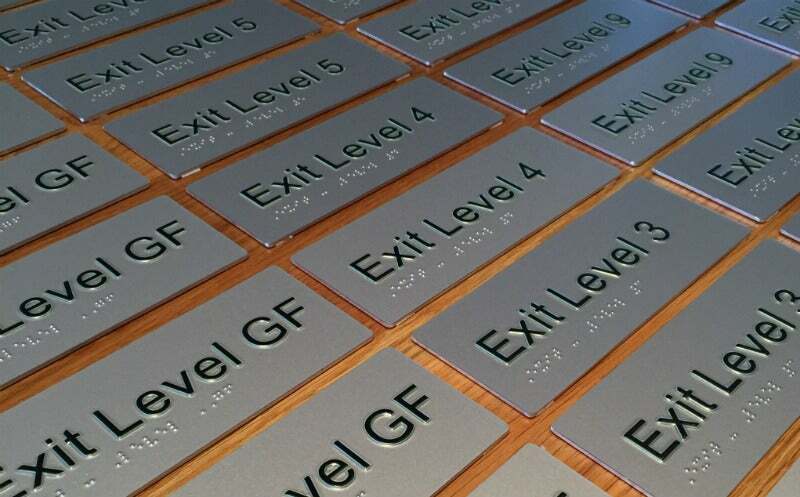 Brailliant Touch’s disability access products include threshold ramps, modular signage systems, and tactile ground surface indicators. We also provide consulting services to our clients to help them navigate the ever-changing National Construction Code (NCC) and the Disability Discrimination Act (DDA) legislation in Australia.